Is a game that teach math table 0 to 12 for children ages 5 to 99. What better way to learn that playing a game. 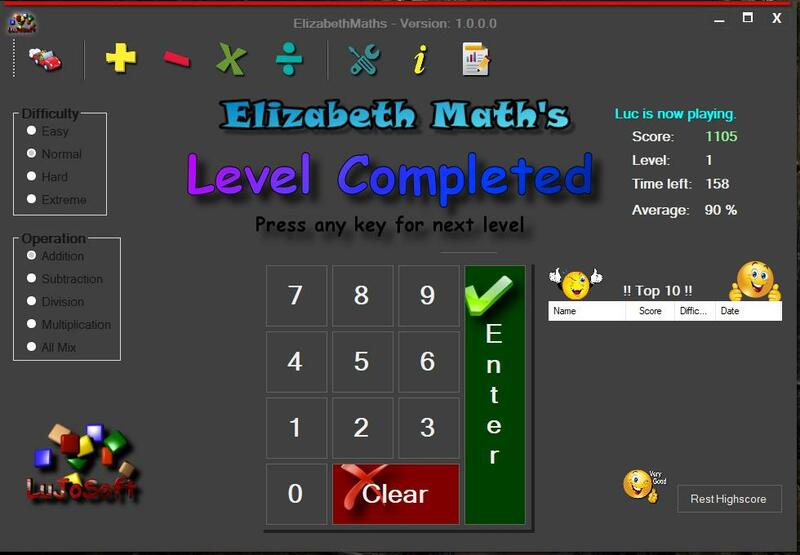 ElizabethMath's as 4 different difficulty level that affect the play time and scoring. 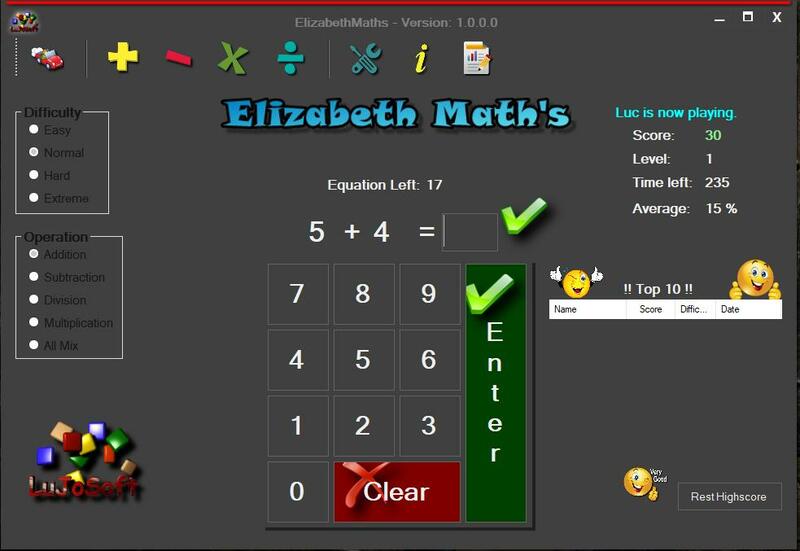 ElizabethMath's as 5 different choices of operations. 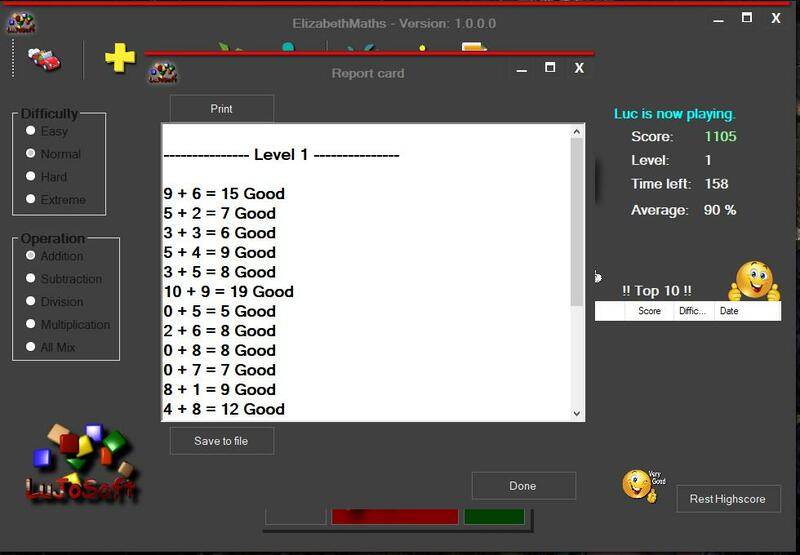 ElizabethMath's as a top 10 high score table. 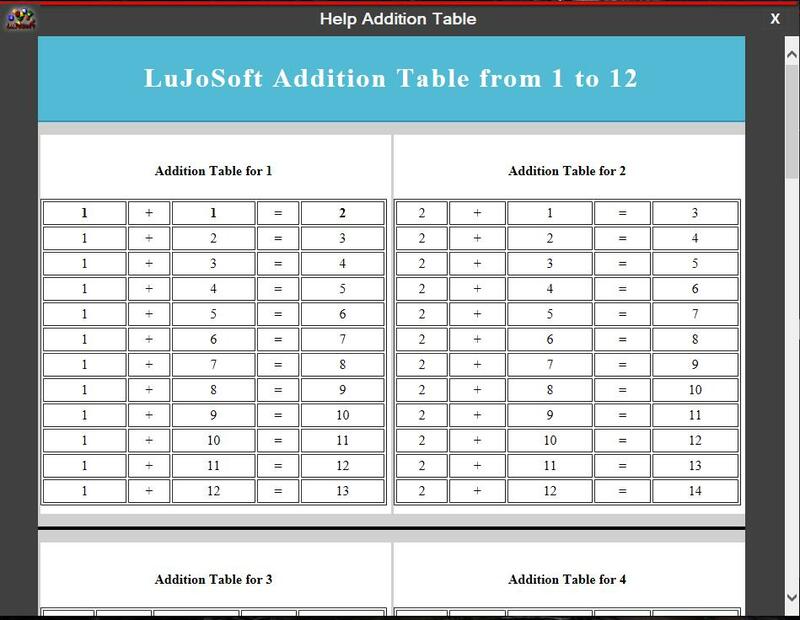 As help table from 1 to 12 in all operations. Also logs the entire game to review error, report can be save to disk or printed. Select operation you want to try. Click start game button "car button"
Enter your name for high score. Double click the ElizabethMathsetup file.